Service: Funeral services will begin at 10:30 a.m. Friday, November 2 at Canton Lutheran Church. 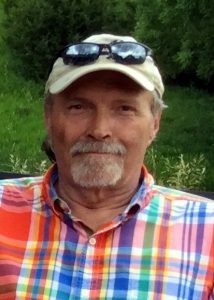 Steven Jon Frislie, 66, of Harrisburg, SD, rode into Heaven on Monday, October 29th, 2018, at Sanford’s Ava’s House, Sioux Falls, SD surrounded by his wife and family. Steve was born on April 26, 1952, Canton-Inwood Hospital, to John and Beverly (Brurud) Frislie. He attended Canton Public Schools and graduated from Augustana Academy in 1970. Following graduation, he attended Dakota State University for a time and then worked at Town and Country Mobile Homes. After driving truck for Tri-State Ready Mix, he started Frislie Construction, working with concrete and building homes. He took pride in his work and reminded his family every time they drove by a job site. On February 18, 1995 he married Paulette Oppold, becoming an instant father to Paulette’s 3 children. Steve and Paulette have lived their entire married life in the earth home Steve built by Lake Alvin. Being a big kid himself, he enjoyed children especially his grandchildren, who were he and Paulette’s pride and joy. His nieces and nephews will always remember the gift of a lifesavers book with money/McDonald’s gift cards for Christmas! If visiting with people is a hobby, it was Steve’s. His ‘gasless’ station in Canton was where people got caught up on the local news and was a favorite hangout. He was member of the Silver Star Lodge #4, he helped establish the Sioux River Folk Festival, and enjoyed photography. He loved riding his motorcycle and trips to Mick and Sonja’s cabin in the Black Hills. Often, he could be found stopping by his mom and dad’s for lunch. Steve is survived by his loving wife, Paulette; daughters Heidi Ericson and Hope Carlson; sons Mike (Karoliina) Slack and Wade Miles (Tracy); as well as 6 grandchildren, Emery Ericson, Paislee and Ty Carlson, Olivia and Lucas Slack, and Korbin Miles. He is also survived by his parents, John and Bev Frislie, Canton; siblings, Vicki (Bruce) Larson, Fargo; Craig (Cheryl) Frislie, Monument, CO; Larry Frislie, Canton; Brian (Sue) Frislie, Marietta, GA, and Sonja (Mick) Tyrrell, Canton; good friend, Jason Bryant; along with many nieces, nephews, and friends. He was preceded in death by his father-in-law, Bernard Oppold, son-in-law, Gary Ericson, and Travis Carlson. Funeral services will begin at 10:30 a.m. Friday, November 2 at Canton Lutheran Church. Visitation, with family present, will be Thursday from 5:30 to 8 p.m. at Canton Lutheran Church. Our family was saddened to read about your loss of Steve. Precious people leave a special place in our hearts. May Comforting words and thoughts sustain you in the months and years to come. For a ‘lift’ in the disquieting days ahead, Search: ‘loss of loved one’ at jw.org. steve was always a delight to be around and what a great smile! thoughts and prayers in memory of a ffine man. So sorry for your loss Paulette. Our condolences to Steve’s family. Karla and I are saddened by Steve’s passing as he was always with a greeting or kind words to the both of us. He will be missed and remembered. My deepest sympathy to you in the death of Steve. I will never forget the support and friendship that you showed to my mother and our family when my brother, Gary Rikansrud, died in 2004 at the age of 61. May God Bless you during the days ahead. To Steve’s family, my condolences on his passing. Steve was fun to talk to. He always had a smile on his face and you feel special. May the Lord Jesus give you comfort and peace. Steve always was easy to talk to. I really enjoyed talking to him when he was in the movie making business. Steve really enjoyed going after the things that he enjoyed. He usually accomplished them too. Hard working and fun to be around. Steve enjoyed life . So sorry to get the news. We pray that God will make His presence known to you and carry you through this time of sorrow. We know he is in a better place but I know he will be missed immensely by many friends and family. So sorry to hear of Steve’s passing. May God grant you comfort and peace during this difficult time. So sorry to hear of Steve’s passing. May God grant you and your families comfort and peace during this difficult time. Steve has always been one of my most favorite people. I’m so thankful to have known him and I know so many felt the same way. I am so sorry for your heartbreaking loss. You have all been in my thoughts and prayers throughout and will continue to be there. This earth has lost an amazing man. Condolences to you John ,Bev and family. Steve was a good friend that I will miss greatly. When I lived out there in 1981 he would refer to me as “the guy from Wisconsin”. I always reminded him Michigan not Wisconsin.After awhile I just let it go, ha. Canton has always been a second home to me and I always try to visit, keep in touch when permissible. Bless him and I know he made it to the promise land. So sorry to hear, I will always remember our laughs together! Will Miss You! My sympathies to the family and friends of Steve. He always had a smile ( watch out, what’s he up to). And yes, he loved to socialize. Thoughts and prayers, Steve always had a good sense of humor and will be missed. My sincere condolences to Steve’s family. May he rest in peace. Trusting that our Heavenly Father will give you peace and comfort. My deepest sympathy to your family. So sorry to hear about Steve passing. May GOD Bless him and our Mother Mary and Holy Angel’s lead him into Heaven. May he rest in peace.